The very much awaited Hindi movie of the year Manikarnika: The Queen of Jhansi has been released at the box office opposite to Nawazuddin Siddiqui’s Thackeray. Both the films have registered an overall good opening at the domestic box office. Manikarnika is a historical biopic on warrior queen Rani Lakshmi Bai of Jhansi played by Kangana Ranaut. In comparison, Thackeray has received more positive reviews. However, Kangana starrer has managed to sweep Nawazuddin’s film with a huge margin on the first day of its release. On the first day, Zee Studios’ presentation took a slow start but recorded decent growth over the evening and night shows due to positive word of mouth. 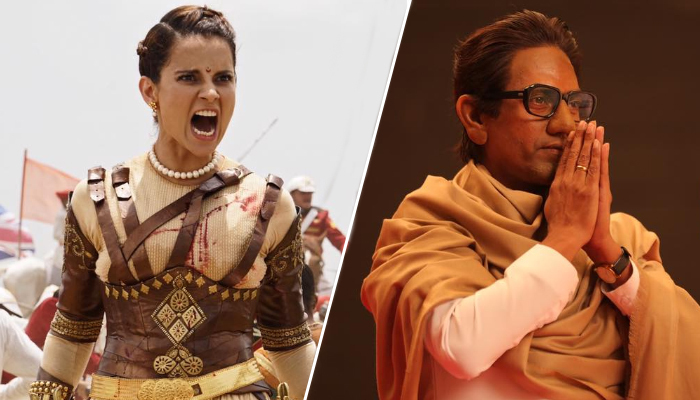 On 3000 screens, Manikarnika has registered the opening business of 8.75 crores at the domestic box office. The film also stars Atul Kulkarni, Jisshu Sengupta, Suresh Oberoi, Ankita Lokhande, Danny Denzongpa among others. KV Vijayendra Prasad, screenwriter of blockbusters like Baahubali franchise and Bajrangi Bhaijaan, has penned the story of Manikarnika. On the other hand, the Hindi offering Thackeray stars Nawazuddin Siddiqui, Amrita Rao and many known faces from Hindi cinema. As expected, it has impressed everyone and getting very positive reviews. On Friday, the movie opened on a solid note across Maharashtra and other north Indian states and raked the business of 6 crores.